Cannes is a small town, but has a great deal of resources, ambition and creativity. 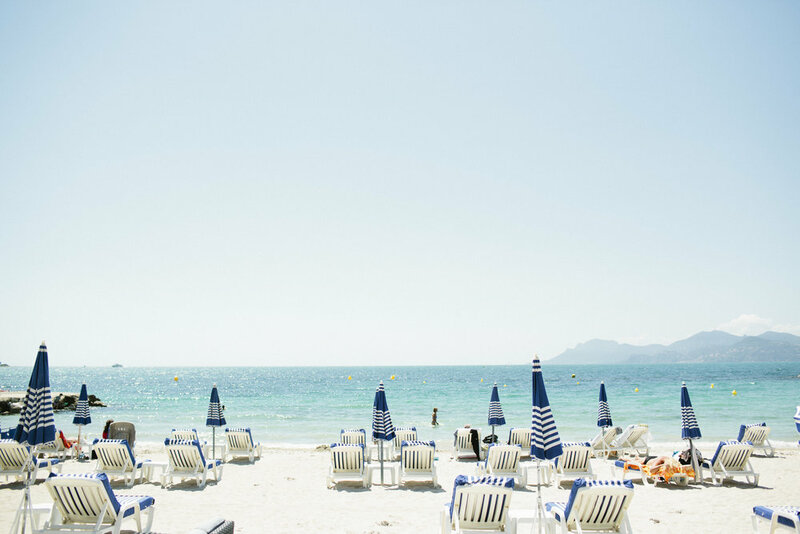 Cannes is especially known for its festivals and stunning nature and mild climate. With it’s pulsating life it attracts people from all over the world. "Having spent 5 days reviewing more than 2,500 pieces of work by professional creative bureaus from all over the world, what you have delivered within a 24 hour time frame, is remarkable - and of a very high level. A well deserved Gold!" Cannes, the magnetic city. Visualize the energy and pulse of the city. Illustrating this in a simple and direct way by creating paths that all leads to Cannes. The pattern is dynamic and the tempo and curve of the wave will various to fit it’s different target groups. We have segmented in to two main target groups, “Gatherings and Festivities” and “Quality of Life”. This will be visualized in the movement of the pattern. “Quality of Life” will be slow and relaxing, and “Festivities and Gatherings” will have faster and larger expressions. In Cannes there is also space to think different, break the system and go your own way, which leads to great ideas and innovation.